The SpongeBob Movie: Sponge Out of Water Trailer! Antonio Banderas is an evil pirate named Alameda Jack who goes searching for a magical page, trapped in a bottle somewhere in bikini bottom. His attack forces SpongeBob and his best friends onto dry land in the first trailer for The Spongebob Movie: Sponge Out of Water. Watch as SpongeBob enters our world to become a superhero, taking on Capt. Jack and his evil cannonballs! In The Spongebob Movie: Sponge Out of Water, SpongeBob SquarePants, the world's favorite sea dwelling invertebrate, comes ashore to our world for his most super-heroic adventure yet. 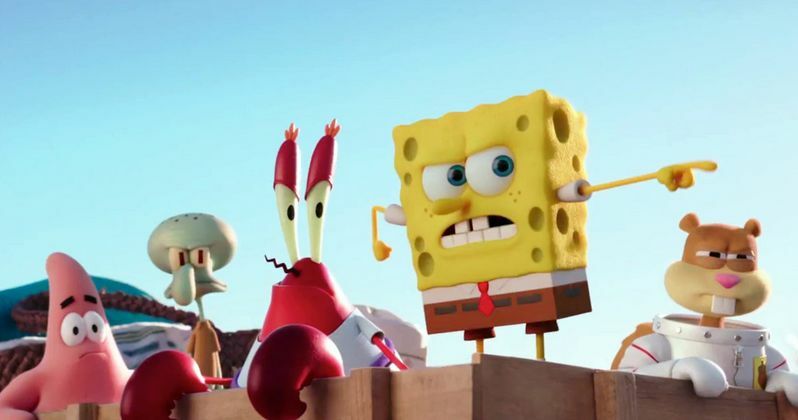 The movie is based on the series created by Stephen Hillenburg.